Dramatics aside, the first stage of emotional attachment to a car is the 'look'. Then comes the pleasure of enjoyment, stress-free, easy living enjoyment when you get behind the wheel. This is what Mazda has striven to give us over the years with its SkyActiv and a raft of other design philosophies. 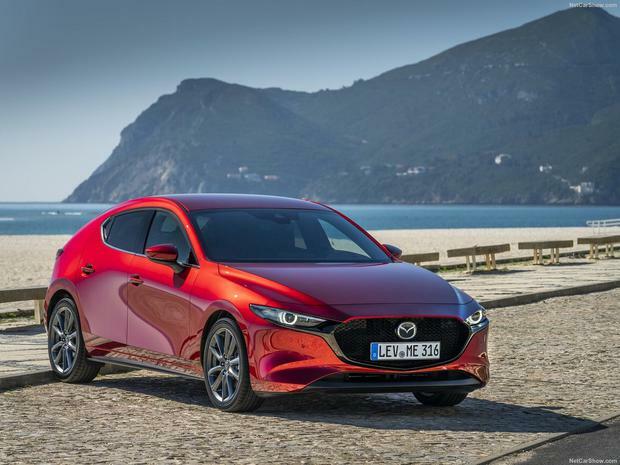 The new Mazda3 delivers that to a high degree with its latest Skyactiv Vehicle Architecture developed after extensive human research studies to make driving feel more natural and less stressful for the driver, and everybody else in the cabin. Yes, the Mazda3 is a family hatchback/saloon, not pretending to be an SUV or a crossover, in itself an expression of faith in tried-and-tested two-box/three-box designs. It comes with a prominent grille, slit-eye lights, flowing side panels and smart rear-end so the initial introduction is stylishly pleasing. But, in truth, the Mazda designers take the view that this is just the icing on the cake, so to speak. All the sweetness and joy should be inside the cabin and with the help of unseen technological developments under the bodywork such as a new stiffer chassis, big reduction in noise intrusion levels and a new vectoring control system which uses brake and torque control to improve handling and grip while cornering at high speeds, they have largely succeeded. So less stress. Inside the cabin, the de-stressing theme continues. Seats have been extensively redesigned right down to the point where the curve of the spine and the pelvic area are best supported. The figure-hugging seats are comfortable and should be a bonus on long journeys. The seating position is low by today's crossover standards but there is good adjustment. The dash area has been decluttered and a centrally mounted rotary dial controls multimedia and a raft of other functions. The cabin materials are of good quality right down to the speakers, which are designed and located to give the best sound quality. All in all, it is easily a match for the VW Golf or the Ford Focus, and is up there with top-enders like the Audi A3. Disappointing at the launch test drive was the fact that the Skyactiv-X compression ignition engine was not available. This new 181PS engine, which will be here later in the year, promises to be revolutionary by using compression technology from diesel combustion engines which Mazda claims will match, if not better, diesel levels of torque and economy with reduced emission levels as fuel burn is more complete. But this new technology will come at a price. Both the saloon and hatchback get a reasonably refined non-turbo 1.8-litre 116PS diesel engine, the 1.5-litre diesel is gone, and there is also a 2-litre 122PS petrol engine for the hatchback which has the benefit of mild hybrid technology to power electric and facile consumption figures are helped by a cylinder deactivation system. The saloon does not get the petrol option as of now. Prices start at €26,295 and €28,715 for the petrol and diesel hatchback versions, while the saloon version has a starting price of €28,719.